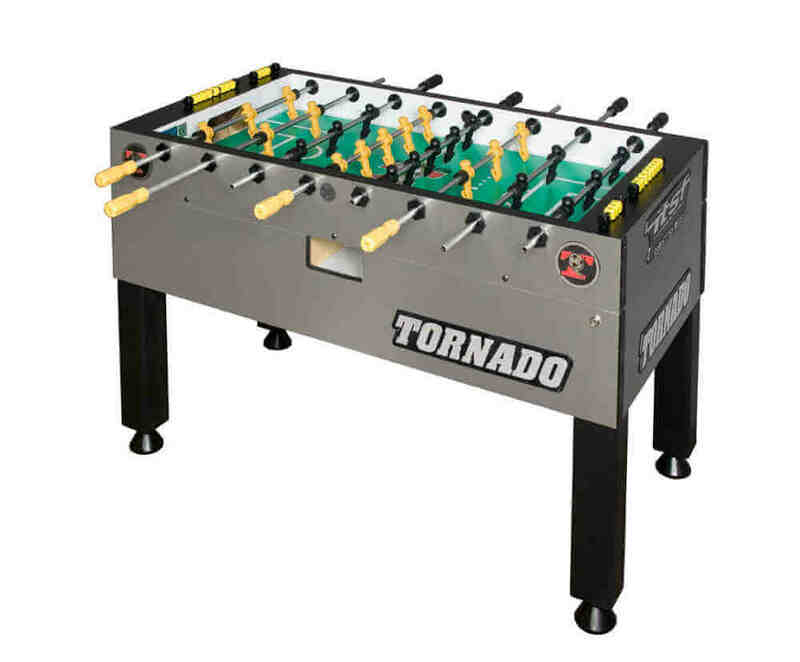 We review the Tornado Tournament 3000 and find that it is hands down the best overall table…if you the ignore price. It is by far the most commonly used table in US foosball tournaments and leagues, and is absolutely unmatched in quality and game play. It’s very big, and very expensive, but if you’re looking for the best of the best, look no further. 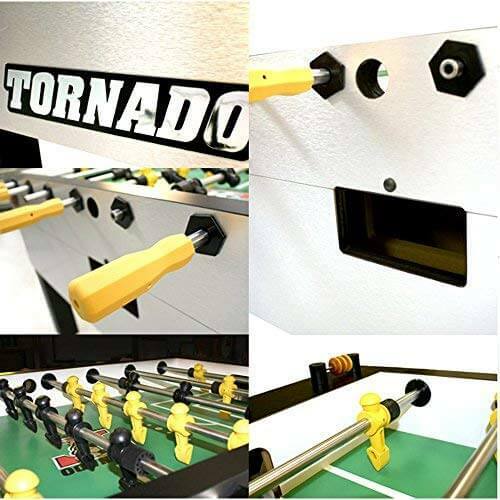 The Tournament 3000 is the official table of the Tornado National Tour and Tornado National Foosball League, as well as the International Table Soccer Foundation. It is the table used in the vast majority of serious competitions in the US, and for good reason. It’s incredibly sturdy and durability is high, weighing in at a very heavy 355 pounds, with a very thick ¾ inch playfield, which is about the thickest you’ll find in any table. It’s actually a split-cabinet design, which means you can lift the top of the cabinet up to get underneath. This is a very fast moving table, both because of the balls Tornado uses, and the actual surface and walls of the cabinet and playfield. If you’re into a very fast game and want to improve your skills with the speed this gives you, this is an excellent choice. In fact, it’s hard to say anything bad about it, considering how well it’s made, how many tournament-grade features it has, and due to the fact that it is the #1 choice amongst American competitors. If you have to have the very best, and have the money to afford it, we can’t recommend this highly enough. In fact the only reason we ranked it second in our list of the best overall foosball table games is because of the high price tag, which makes the Warrior, our top choice, much more accessible without losing too many features. If you can afford the best, then why not buy the best? It’s worth it. That’s what you’re getting with the Tournament 3000. With all the features you could ever hope for, plus the amazing made in the USA quality you’re getting from Tornado, it ticks literally all the boxes that you could ask for. This is best if you’re a professional or expert player, although it’ll be like driving a supercar for the first time if a beginner has a chance to play it.